Fat Cow, hidden within Camden Medical Centre in Orchard, is most commonly known to me and many others as the “mecca” of extremely high-quality cuts of Wagyu beef. 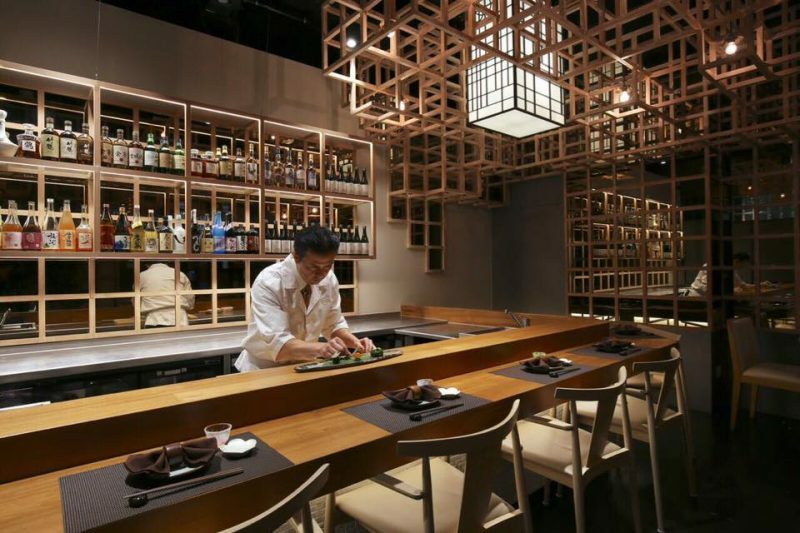 This upscale Japanese steakhouse is headed by Chef Shigeru Kasajima who has 25 years of culinary expertise with stints in America, Europe as well as his native country Japan. Entering the restaurant, we found deep oak wood furnishings with elegant vibes. I recommend getting a seat in front of the chef for an interactive dining experience. Even after eight years, Fat Cow continuously improves its menu. 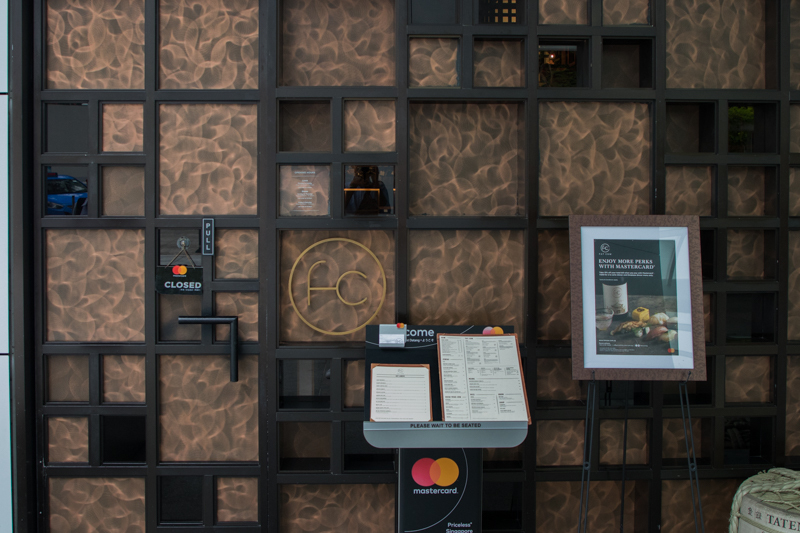 This time, they’ve added 15 new dishes to their a la carte menu. 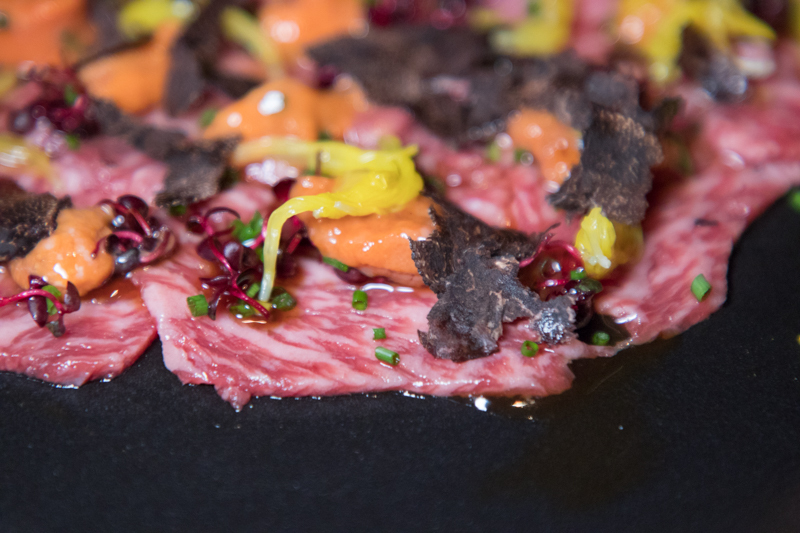 These new dishes feature the famed Nagasaki beef which is less commonly known here in Singapore, but it is recognised to be the best Wagyu in Japan. 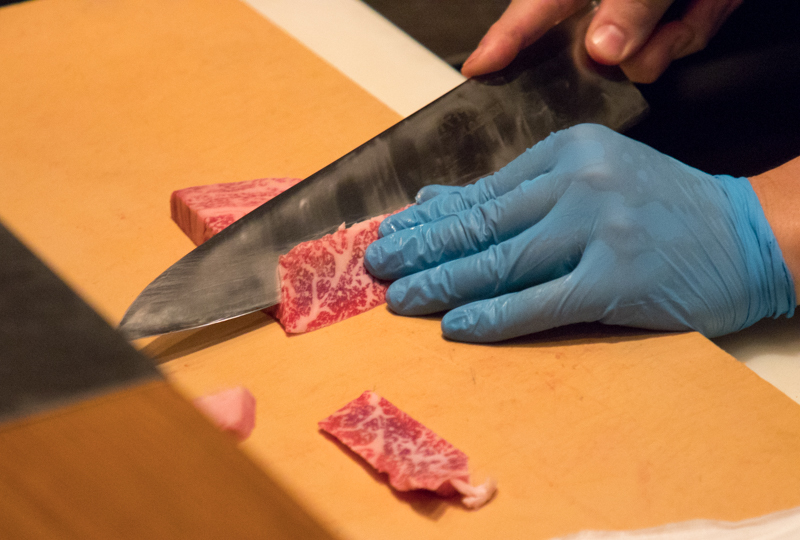 Derived from the Nagasaki prefecture, this prized beef has even won the “Wagyu Olympics” in 2012. 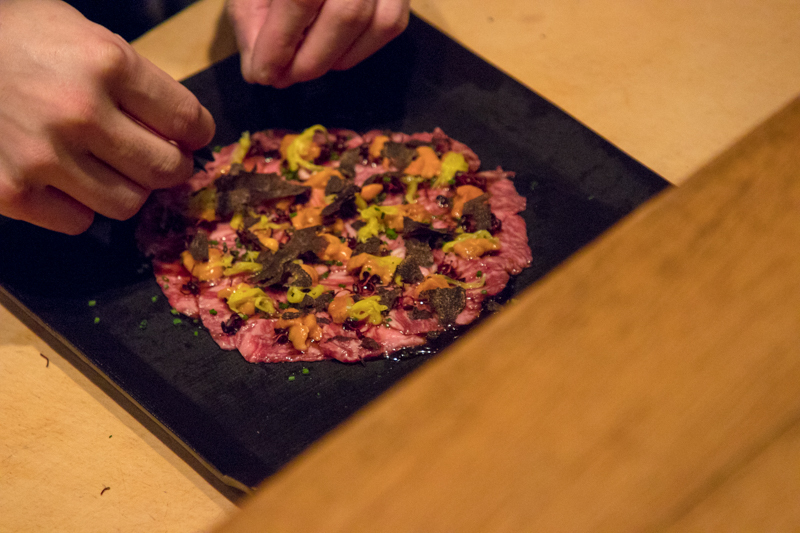 Characterised by its impeccable marbling with superb lean meat-to-fat ratio, the best way to have it is as their Wagyu Carpaccio (S$48++). 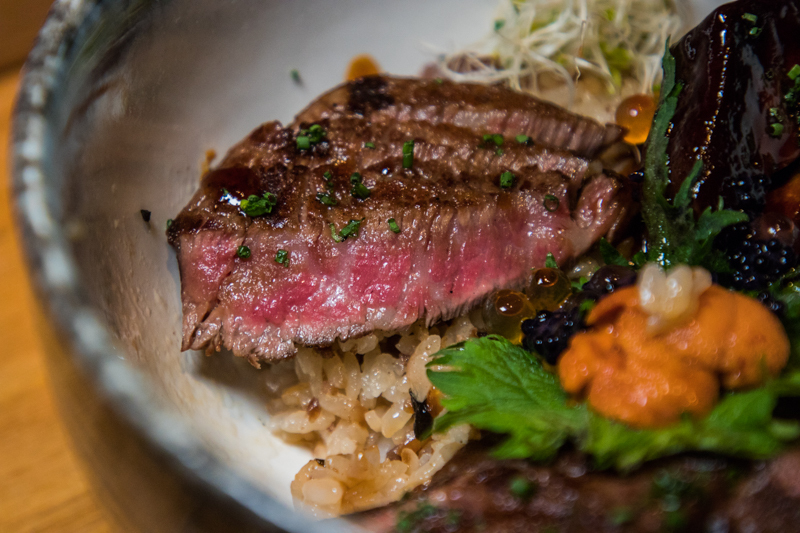 This dish allowed the natural sweetness of the beef to come through. Each slice of beef had a great marbling of fats, giving it a buttery and creamy texture in my mouth without the need to even chew on it. 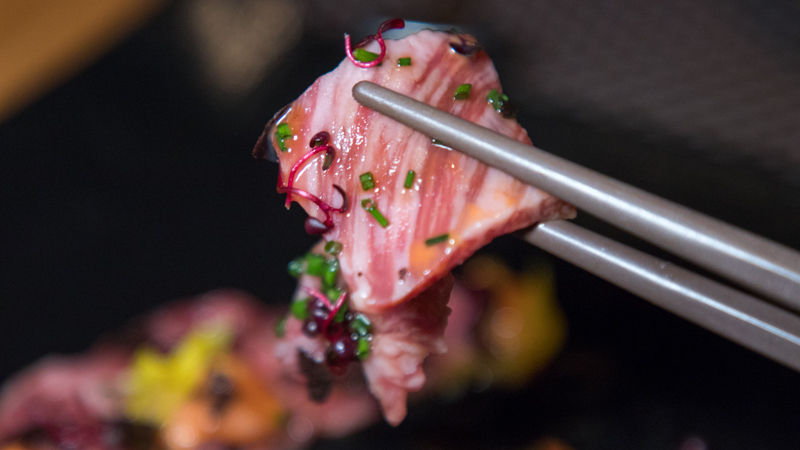 The dish was covered in a tangy ponzu sauce which contrasted with the innate sweetness of the beef. On top of that, I could taste a prominent smokiness from the sauce drizzled over the dish. 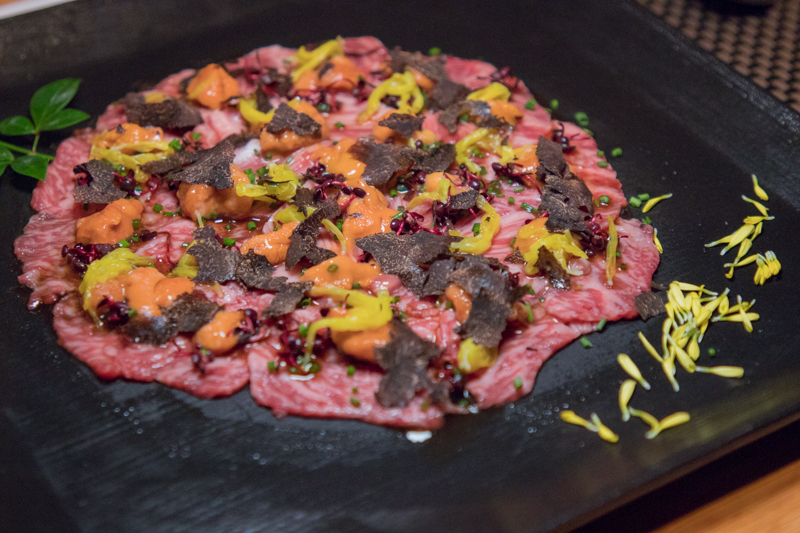 The bed of wagyu beef was topped with truffle shavings, Hokkaido uni (sea urchin) as well as chrysanthemum flower petals. 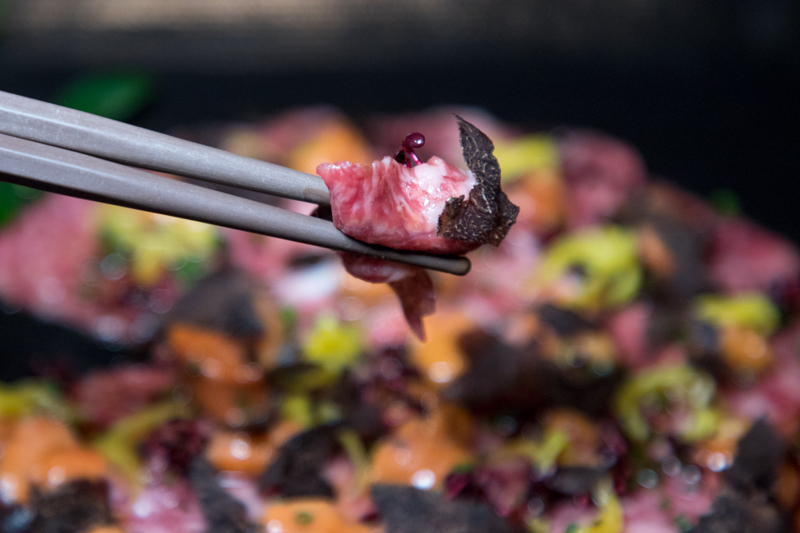 The chrysanthemum accentuated the sweetness of the beef with nectarine floral notes. On the other hand, the creamy uni added a briny flavour which lingered on my palate. 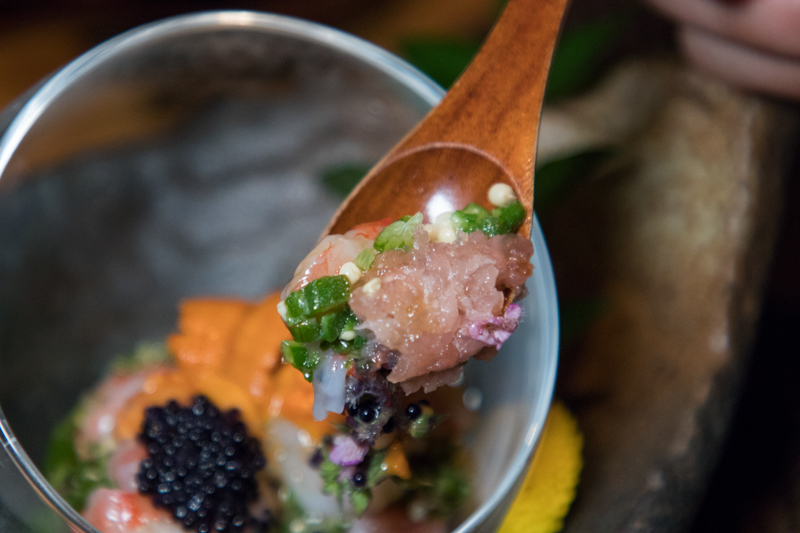 In each bite, the flavours and textures of the different elements in the dish came together harmoniously. 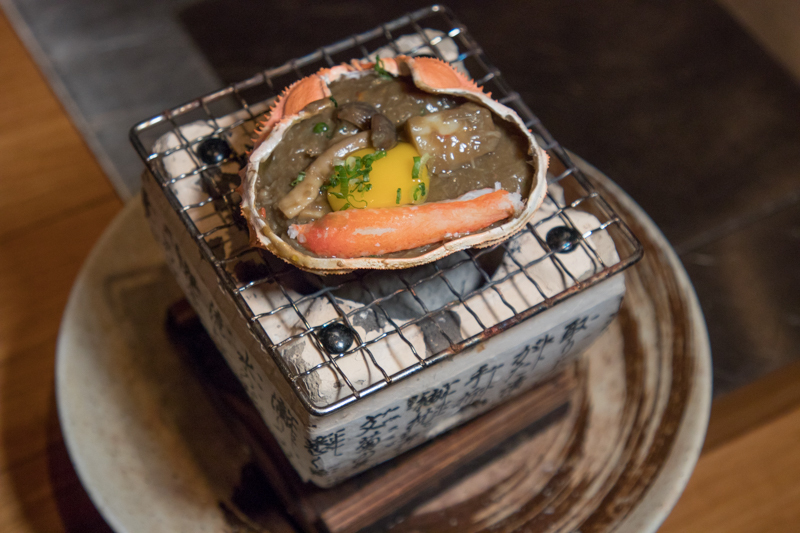 The Toro Uni Kaisen Mille-feuille (S$38++) was another complex dish which contained a range of opulent ingredients. 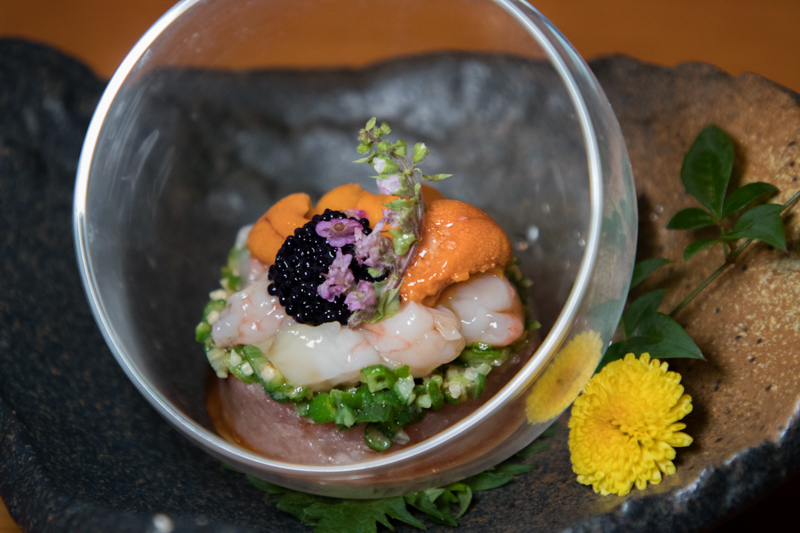 Intricately assembled in a glass cup, the dish came with chopped toro (tuna belly), okra (lady’s finger), sweet shrimps, uni and caviar. The first thing that hit my taste buds was the sinfully indulgent fatty toro melting in my mouth. This was followed by the slight crunch of the sweet shrimps and briny pops from the caviar. The okra helped to reduce the oiliness in my mouth, while the seeds also added some crunch that contrasted the buttery uni. 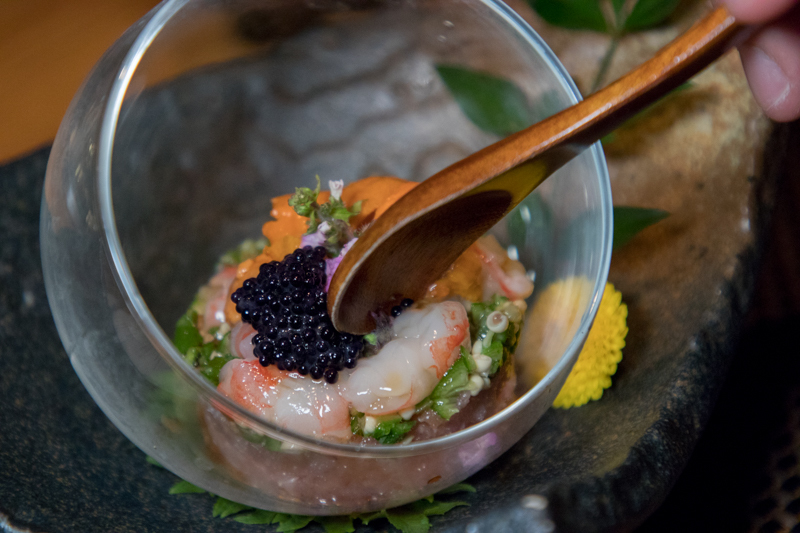 Overall the dish was relatively earthy, with a delicate sweetness from the shrimps that was punctuated by the saltiness of the caviar and uni. 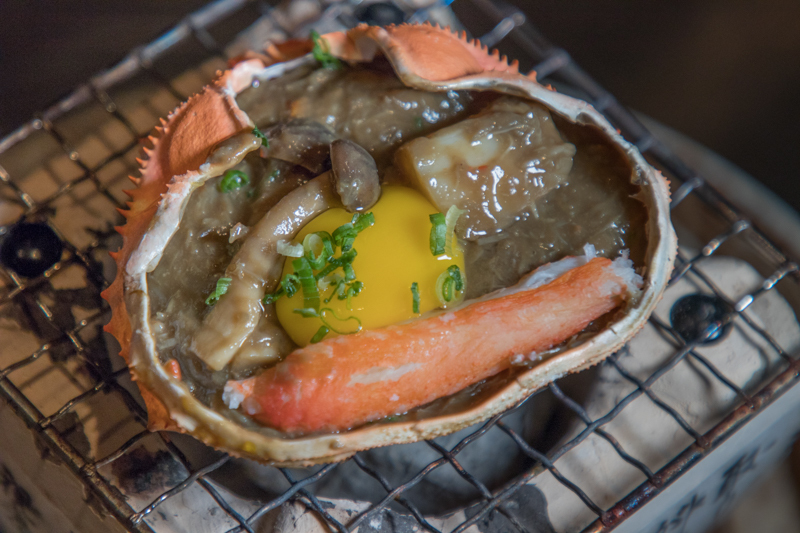 Going for a more intense dish, we had the Kani Miso Korayaki (S$34 ++) which was served in a crab shell on top of a charcoal grill. The consistency of the broth was thick and viscous, almost like a stew. 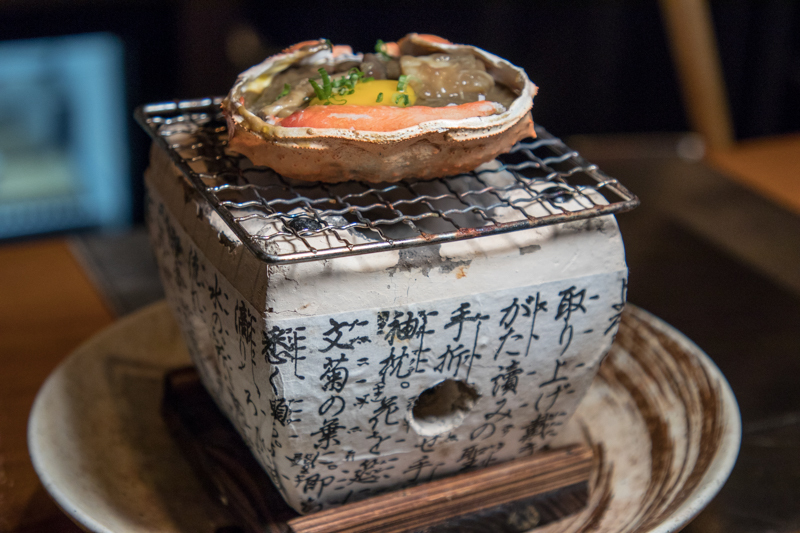 Cooked with miso paste, it had an intense, full-bodied earthy flavour as well as a smokiness from the charcoal grill that permeated the dish. 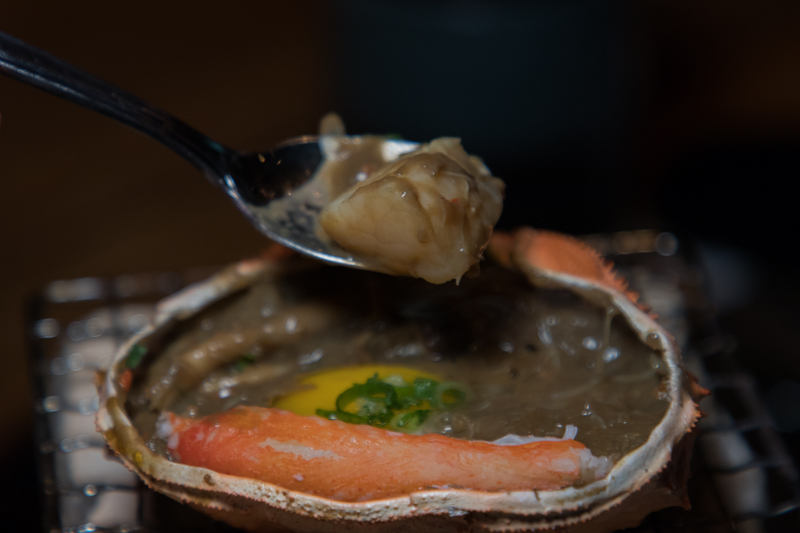 The broth contained strands of crab meat, in addition to the chunk of crab meat on the side which served as a natural sweetener to the dish. 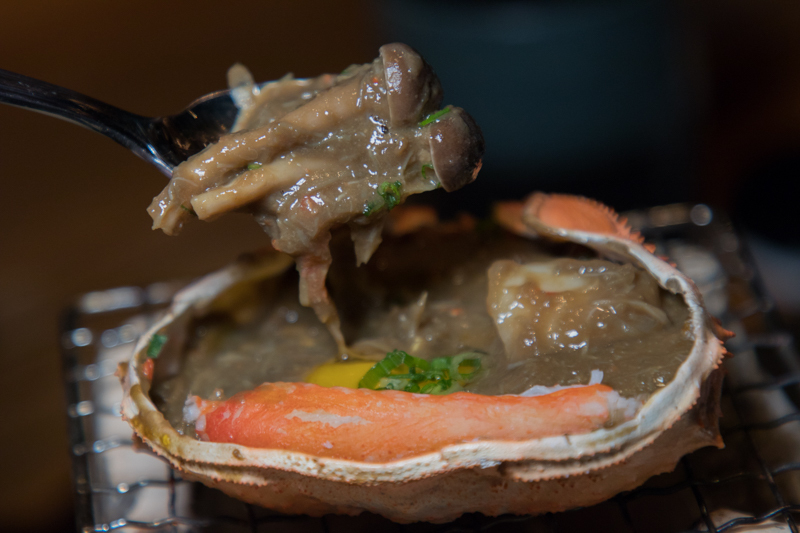 There were also shimeiji mushrooms which absorbed the rich flavours of the broth. Moreover, the mushrooms maintained their crunchy texture despite being boiled in the broth for a long period of time. The dish also included succulent scallops, and mixing them with the broth highlighted their natural sweetness and briny aftertaste. This dish was by far my favourite, due to how rich and robust the broth was. 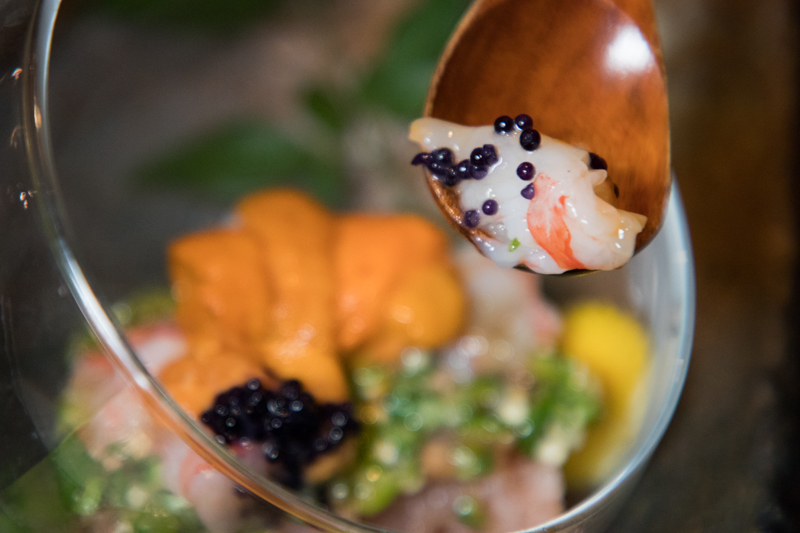 Furthermore, the seafood was extremely fresh and enriched the soup with a natural sweetness. The runny egg also helped to bind everything together, and topped off the broth with extra viscosity. Served on top of the charcoal grill, the broth was still bubbling when we had it. It certainly felt like a comforting bowl of soup for a rainy day! If you are looking for a fast meal you might want to consider the Fatcow Premium Donburi (S$98++) which contains all the luxurious ingredients assembled in a rice bowl. 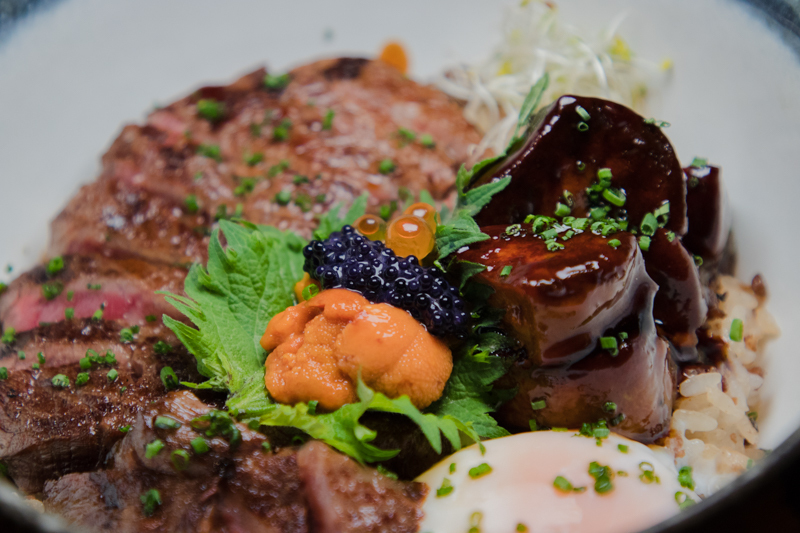 It comes with buttery A4 Kagoshima Wagyu beef with creamy foie gras and an onsen egg on top of truffle-seasoned rice. 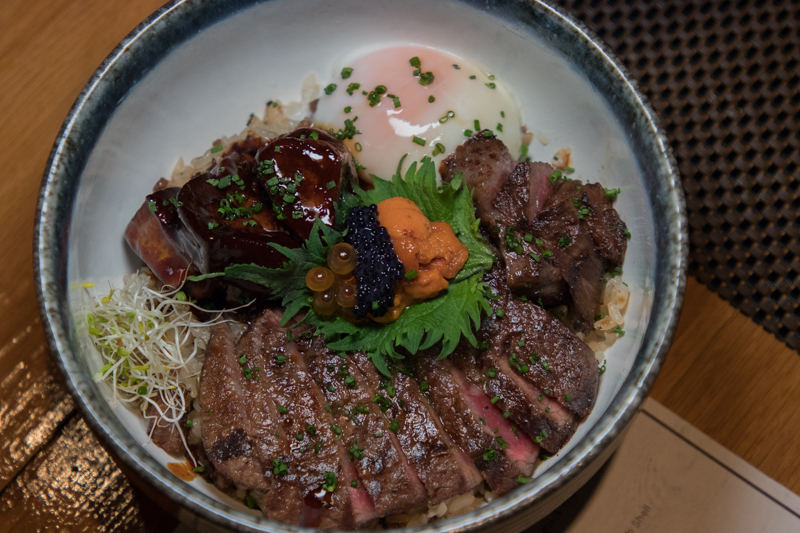 This donburi promises to impress anyone looking for an extravagant, all-in-one meal. If beef isn’t your thing, then you might also want to consider the Seared Ora King Salmon (S$48++). 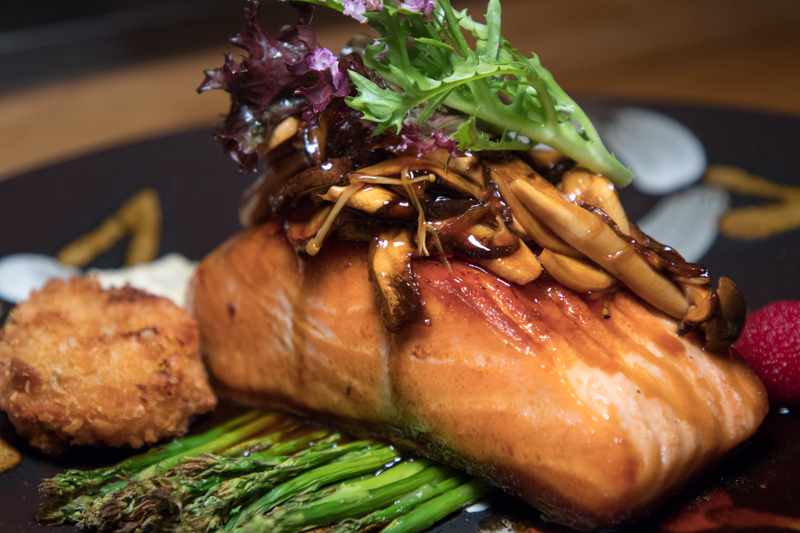 Topped with a rich homemade teriyaki sauce and served with juicy mushrooms, the marbled salmon melted like butter in my mouth. Fat Cow has taken Japanese dining to a whole new level for me, and I’m not sure if I’ll be able to look at Japanese food the same way again. However, with the hefty price tag that comes with it, Fat Cow would definitely not be a daily affair for me. I strongly urge everyone to put Fat Cow in your bucket list, so you get to try it at least once.